Home > Mood Supplements > Is Valerian Safe to Take? 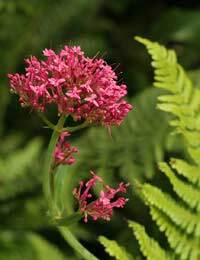 Valerian has been used as a mild sedative to treat nervous tension and to cure insomnia since the time of the ancient Greeks. These days it is usually prescribed for people with mild sleeplessness, as it has been shown to help control mild to moderate insomnia. It is often occasionally given to people with mild anxiety to steady their nerves and thus improve their mood, although evidence to support its efficacy in this respect is scanty. Sold as a herbal supplement, the valerian herb (Valeriana officinalis) grows in many parts of Asia, North America and Europe, and has a distinctive aroma which many find unpleasant. Supplements made from valerian are constructed from its roots and stems, and it is sometimes combined with other herbal supplements such as St Johns Wort and passion flower for maximum effect. During World War II, valerian supplements were commonly given to people to help relieve the nervous stress accompanying air raids. In some countries it was also routinely given to women suffering from what was called “female hysteria” to calm them down. It has also been used to treat gastrointestinal distress, ADHD (attention deficit hyperactivity disorder) as well as epilepsy, although there is no known definitive scientific evidence to support its use with any of these. The valerian root contains valerenic acid and valerenal, compounds which interact with the GABA neurotransmitter and produce a soothing, calming effect. GABA seems to produce an optimistic, calming mood, which in turn is good for promoting sleep. Valerian also allows GABA to act as a muscle relaxant, according to some reports. Clinical trials of valerian to treat anxiety showed that it had no more effect than a placebo. However, as anxiety and a lack of sleep are often closely inter-related, this herb may help improve both conditions. In particular, it is recommended for people who are uptight, upset or unable to sleep due to an ability to switch off at night. Valerian is known as one of the safest herbal remedies around, so you may want to give it a try either to sleep better or put you in a better mood. Most people have no negative side effects whatsoever, although occasionally people experience gastrointestinal distress and/or headache. Very occasionally people who take a valerian supplement report dizziness and heart palpitations – not great if you are taking it as a way to cure your nerves! To treat insomnia a dosage of 300 to 66 mg is recommended, preferably half an hour to two hours before going to sleep. Continuous use is proven to be more effective than irregular dosages. People who take valerian wake up much more alert than those who rely on benzodiazepines, or other types of sleeping tablets, and it can help wean them off them. As valerian supplements may interfere with other medications, even antihistamines, always consult with your doctor before taking them. The smell is so powerful that although valerian teas and tinctures are available, many people prefer to take their supplements in capsule form.